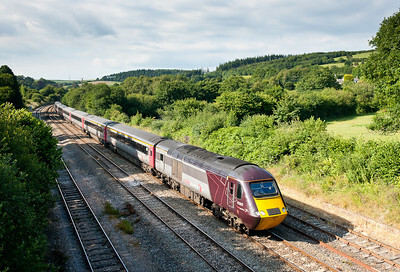 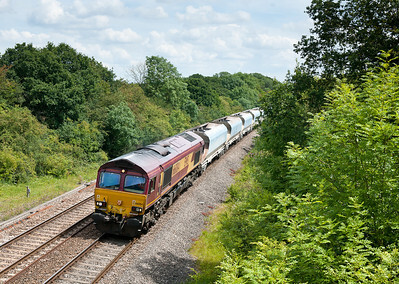 With the gen groups around its not often you get "surprised" lineside. 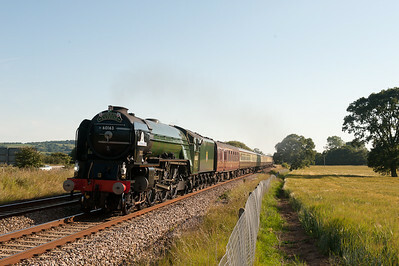 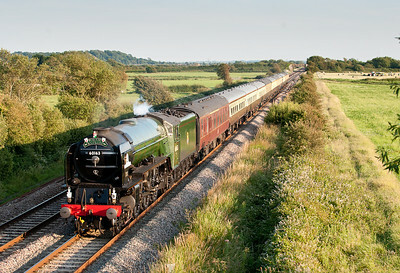 This was definitely one of these occasions,waiting at Trerulefoot for the sleeper and this turned round the bend. 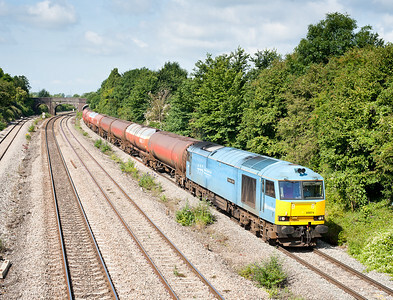 66043 on 6C99 WO 21:47(Tue) Newport ADJ-St.Blazey running around an hour late. 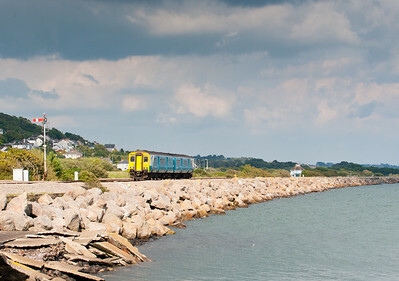 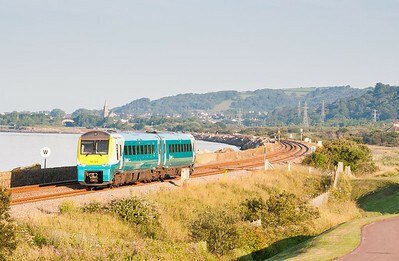 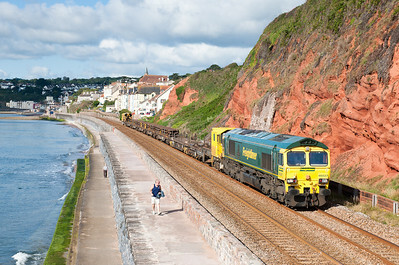 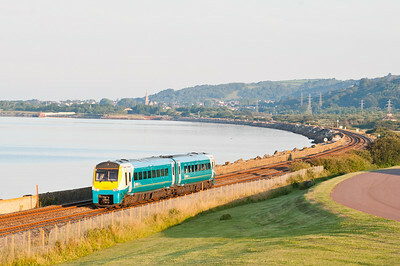 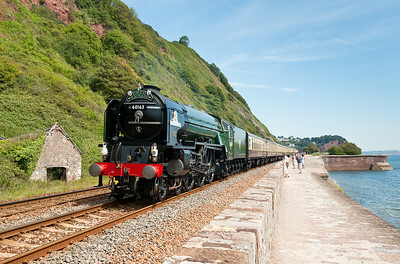 66527 passes Dawlish with a Hackney to Eastleigh working,never seen a Fred on the sea wall so well pleased with this. 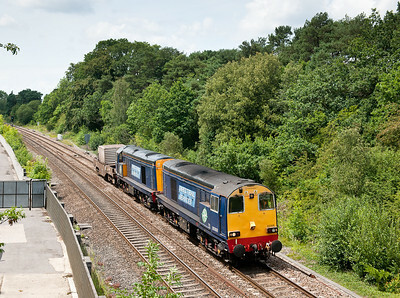 020711 43384/43304 crosses St Pinnock with the 1V48 0744 York-Pnz,this is about as good as it gets in Cornwall on a "summer Saturday",depressing or what. 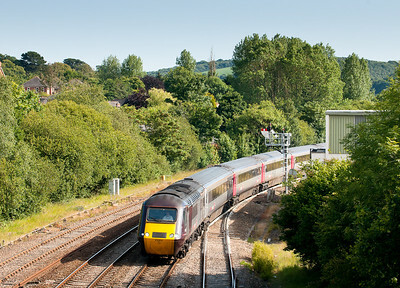 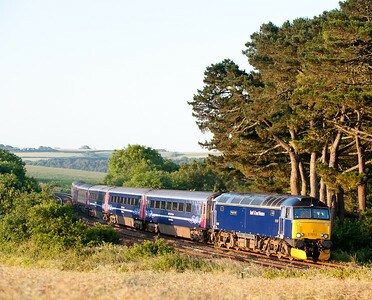 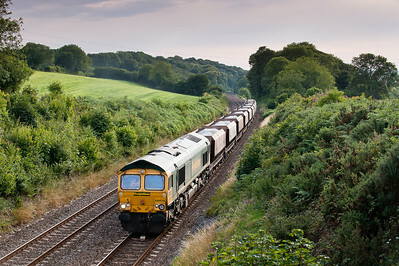 020711 As we had to move location this was a bit of a bonus.43304 /43384 1E75 1625 Pnz-Leeds pass Lostwithiel. 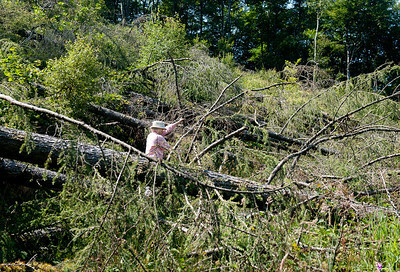 o20711 If anyone is thinking of getting to the upper shot at St Pinnock I would factor in 20 minutes to pass all the trees that are now lying across the path.The assistant does her best to clear the way. 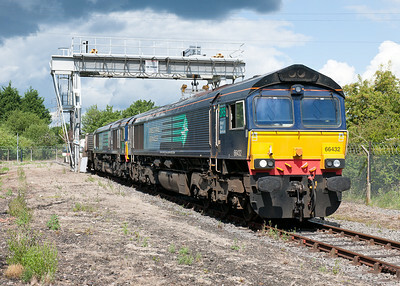 040711 On driving home we popped into Portskewett for another shot of 60010.Never done the shot here and its very very nice. 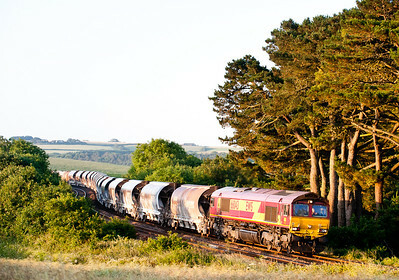 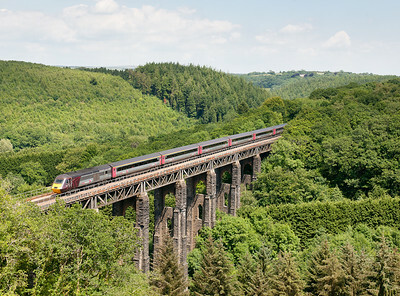 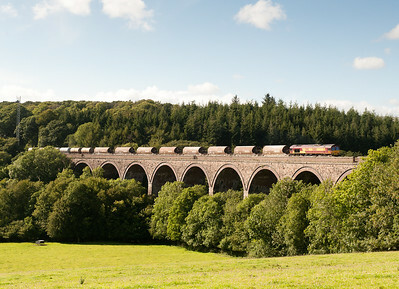 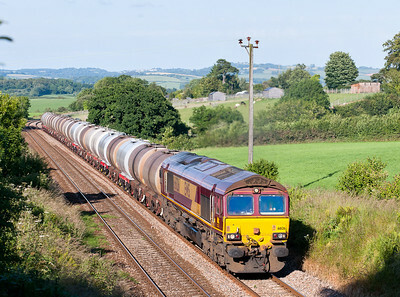 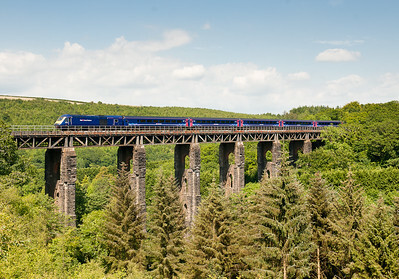 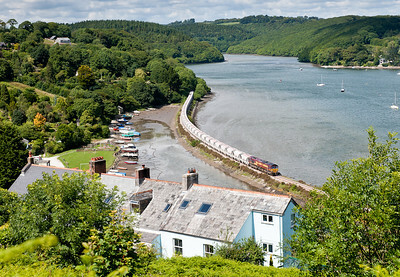 070711 66168 on 6C39 ThO 16:13 St.Blazey-Newport ADJ at Blachford Viaduct.For a change the preceding 125 and Voyager were in the cloud and the sun came out for the freight. 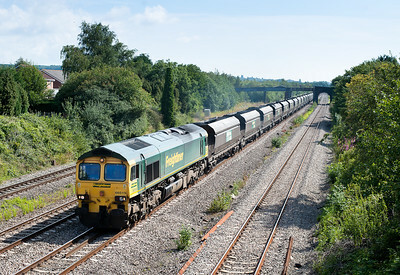 110711 66519 6M61 (Q) 08:25 Portbury-Rugeley p.s. 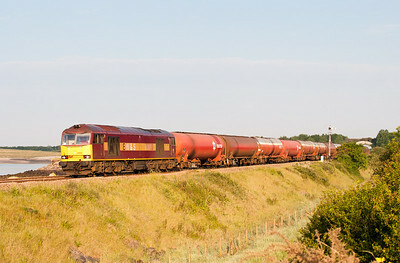 110711 60074 on 6B13 05:05 Robeston-Westerleigh passes Undy. 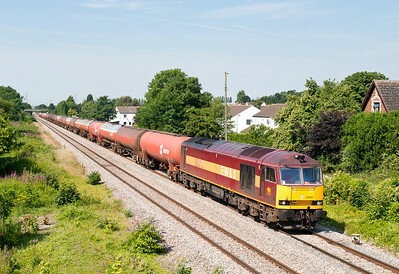 110711 70007 4O51 09:58 Wentloog(Cardiff)-Southampton passes Undy,my first Class 70 in the sun,pity about the load behind it. 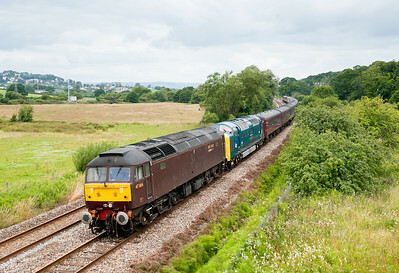 110711 66084 MO 6B35 10:28 Acton TC - Moreton-on-lugg.Complete with a set of very faded ex national power hoppers. 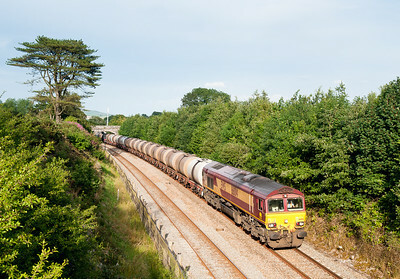 120711 66014 on 6C62 TO 15:31 St.Philips Marsh-Plymouth starts the descent down hemerdon bank.Last week same spot we got done by a cloud in full blue.This week it was dull until a few minutes before the train came,you just never can tell.Wanted this shot as in a few weeks time it wont be possible due to the shadows. 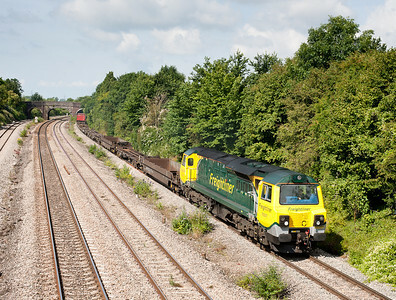 120711 66614 on 6A59 MWO-Q 17:45 Burngullow-Didcot grinds up hemerdon at at walking pace.Two freights in 15 minutes,is this really West Devon?